While using ZipperAgent, you may want to store and work with documents and files related to Opportunities, Contact, Accounts and Properties. Z-Drive is the place where you can store all your documents, reports, files to be used across the ZipperAgent product. Z-Drive is a complete document storage and management solution offered by ZipperAgent. You can store all your business documents in this one place. 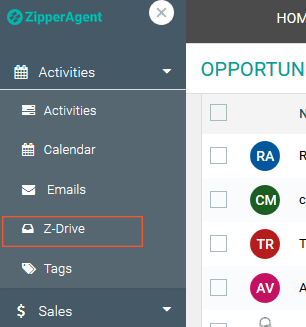 You can access Z-Drive from any page in ZipperAgent by clicking on hamburger menu on the top left corner and then navigating to Activities -> Z-Drive. Z-Drive list page displays the list of available Folders and Files along with Last Modified Timestamp and the Name of the User who created the Folder/File. Like any other Document Repository, Z-Drive offers you various document management capabilities. On the Z-Drive list page the frequently used buttons to help you Refresh the list page, upload Documents, create New Folder, Send Share Link and Share Document are available. The actions like Send Share Link and Share Document are only available when the User has selected Files or Folders. No action is allowed on attachments folder. This folder is private to everyone. On each row of a record, you can find Download, Rename, Add Tag and Share actions. You can also search for a Document Name using Find Document search box on top left of list page. Click on the Upload document icon to upload files from your computer’s local drive or from any of your integrated external document repositories like Dropbox, Box, One drive etc. 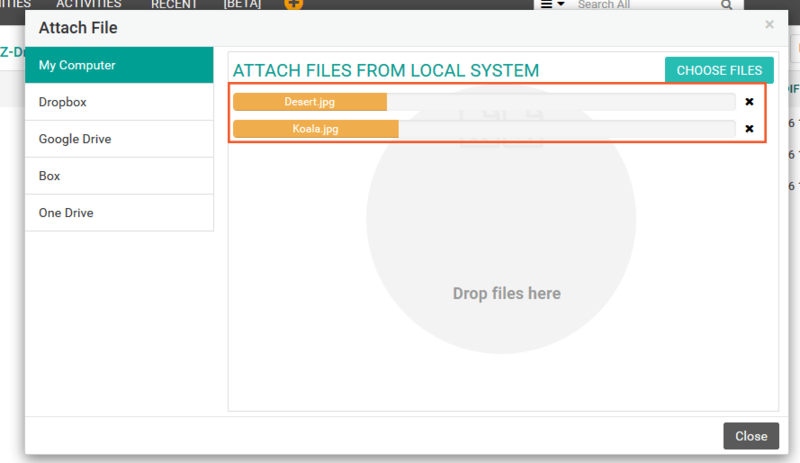 You can also drag and drop files on the designated “Drop files here”. ZipperAgent displays the progresses of upload of each of the document. Click Close button once documents are uploaded. By default all documents uploaded or folders created by a particular ZipperAgent user is visible only to that person. To give public access to documents, the ZipperAgent Admin has to share those documents with other users. Enter the Folder Name and click check icon to create the new Folder. Folder Name for a given path has to be unique. Duplicate names under the same root are not allowed. You may click red cross icon to abort the action. Click on any Folder name to see the files and sub-folders inside it. Many a times one User may want to share a particular Document with another User giving him/her a View Only access. This can be achieved in ZipperAgent through Sending Share Link action button. Any ZipperAgent User can send a share link of a particular file to any other ZipperAgent Users. Share links are available for only files and not for folders. Click on share button once Users are selected, to share the link of the document to the selected Users. 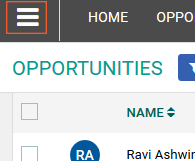 Select one or multiple user names by clicking on the lookup icon. By clicking the shared link on the email, a copy of the file will get automatically downloaded to their system. The selected Users will get an Email notification along with link to access the file. 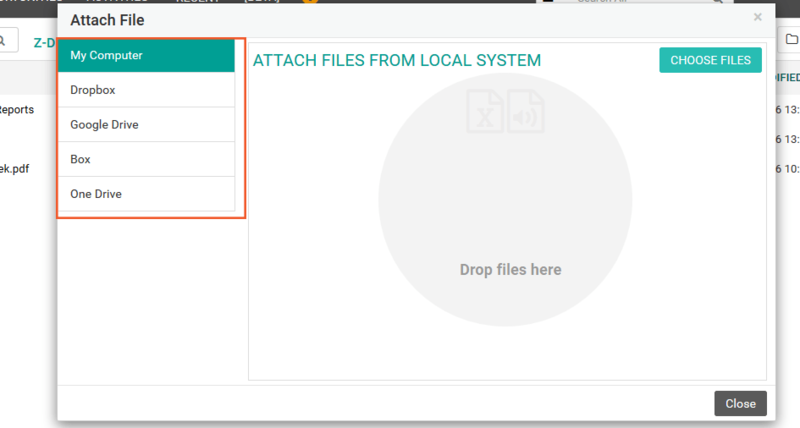 The users who has got the shared link, cannot see the shared file in their Z-Drive, they can only see a copy of the downloaded document locally in their systems. 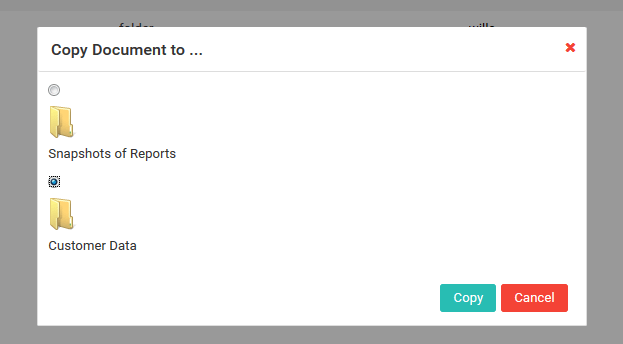 If a User wants to share a Document with another ZipperAgent User giving him/her full access of the document, they should use Share document action. Once a document (file or folder both) is shared, the shared User can see the document in his/her Z-Drive list page. Once a folder is shared, all the child folders or files of that folder will also get shared. By default all documents uploaded or folders created by a particular ZipperAgent user is visible only to that person. To have documents with public access, the ZipperAgent Admin can share those documents with other users. Select one or more documents and click Share Document icon share icon from Z-Drive header menu OR click on row level share icon to share a single document. A Share document dialog opens where in you can choose another existing ZipperAgent User. 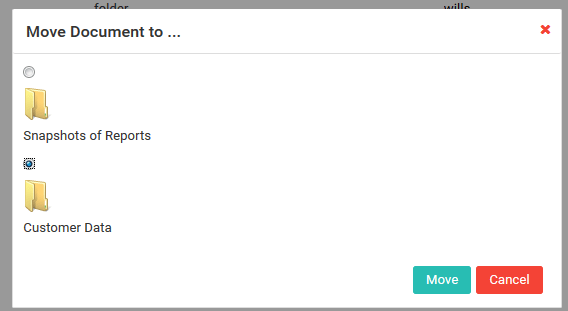 You can do so by start typing the User name, ZipperAgent will suggest you with a list of available names to choose from. You can also use the lookup icon to search for a User name. Click on check icon to share document. Click on red cross icon to abort the action. Once a file or folder is shared, it is identified by shared folder associated with it. This icon will appear for all the Users who can see this shared document. You can move a document to any other path from its current location. Move action will remove the document from its old location and place it in the new location. You may want to place a copy of a document to some other location inside ZipperAgent Z-Drive. Copy will create a new copy of the document and place it in the new location while keeping the original document in the old location. You can move or copy a document to any other folder and its nested path as well. Select a folder and click on Move or Copy button to complete the task. Move or Copy dialog will appear which will show you all available folders where you can move or copy the document. ZipperAgent gives you the capability to tag documents. Tags are a quick and flexible way to label and group Documents. Click on check icon to complete tagging. Start typing Tag name, you will be shown a list of matched records if any. You can choose from the list or you can add a new name. 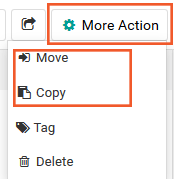 Click on more action and then on tag icon on Z-Drive header menu Or click on the row level add tag icon to tag a single Document. A confirmation dialog appears asking the User whether he/she wants to proceed. Click on yes to delete the document. Click on more actions and then click on delete. Select a file or folder to delete. Click on NO to abort the action. In ZipperAgent you can download a Document by clicking on the download icon associated with every document. Files are downloaded directly as a file. Folders are downloaded as a .zip file with all the child documents inside it. Click on check icon to submit or red cross icon to abort the action. Click the row level rename icon , to rename a particular Document.